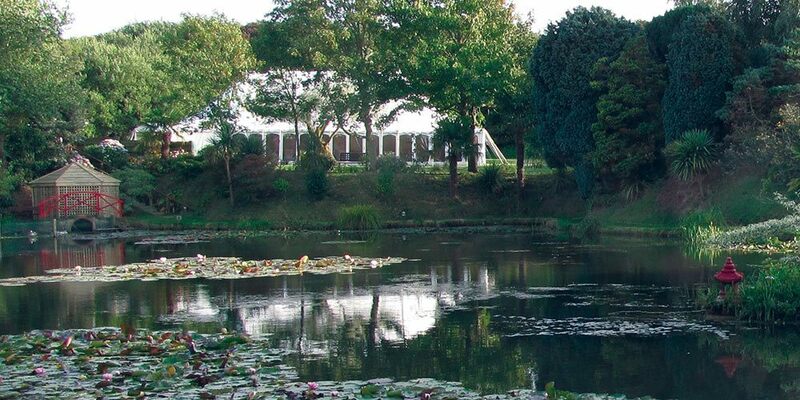 Available for exclusive hire, receptions for up to 300 guests can be accommodated in a lavish marquee on the Green overlooking one of the water lily ponds. Or for a small informal gathering after your ceremony you may choose drinks and canapés in Café Monet which has views over the gardens to the wedding gazebo. You may choose to hold just your wedding ceremony in the gardens or just a reception, or you can enjoy your entire special day at this wedding venue. With ample parking for your guests the venue is exclusively yours for the duration or your ceremony and reception. There is easy access from Weymouth Harbour (only minutes drive away) and comfortable accommodation can be found within Chickerell village.